One of the wonderful parts of working at an alternative school is the connections that you make with other like-minded programs. We are so grateful to have developed relationships with universities and schools that celebrate TIDE Academy’s vision and mission. We are very excited to be collaborating with Arizona State University, THINK Global School and Niagara College. One of those education connections is with Arizona State University. The Global Intensive Experience program is offered to undergraduate teacher assistants pursuing careers in health care and education. This Global Intensive Experience focuses on students who are interested in sharing their knowledge in STEM subjects. They will be doing this through a mentored teaching experience at TIDE Academy.Students from Arizona State University hope to gain insight into how scientific concepts are viewed from different cultures from their own. We look forward to hosting and collaborating with ASU students in March 2019. STEM is an acronym for Science, Technology, Engineering, and Mathematics. It can be integrated and includes a wide variety of subjects. 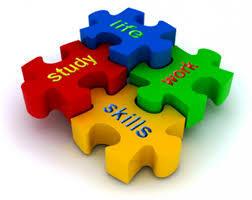 The interdisciplinary approach brings in everyday concepts of the students’ lives into an active learning environment. THINK Global School is a traveling high school where students learn and visit 4 countries in a year. Their philosophy is to make unforgettable connections between their education and the world around them, making Global Studies truly global. Students truly have no borders and connect their education to the environment they are in. THINK Global is for students who never stop asking questions, strive for learning in diverse environments. Like TIDE, students have a small teacher to student ratio and understand that school is a part of the students broader lived curriculum. Students will be visiting TIDE Academy on the 14th and 15th of February after their time surfing in Nosara. They will be working with the Surf Academy using video analysis of the students. They will use this to provide feedback for Surf Academy students and our surfers will do the same. Students will be able to talk surfing, build some new skills, create friendships and learn more about the THINK Global program. Starting in 2020 Niagara College will be working with TIDE Academy to partner for teachers’ internships. Students attending the college will be practicing their internships here at TIDE Academy. This offers TIDE Academy foreign educators who bring with them new teaching practices and materials. Our lead teachers will be able to collaborate with other professionals and allows them to give more 1-1 attention to the students in their class. Niagara College toured multiple schools last year and we are pleased that they have chosen to collaborate with TIDE Academy in their upcoming program.